Our own Bill Clinch at the Michael J Fox Foundation forum in Washington, D.C.
Bill Clinch with (l to r) Kevin Kwock, Dave Iverson and Michael J. Fox in Washington, D.C.
After learning last year that Parkinson’s Action Network was merging with MJFF, the world’s largest nonprofit funder of Parkinson’s research, I was concerned that this would be the end of an annual forum in Washington D.C.. I was pleased to find out that the Forum would continue. As an advocate for MJFF I attended this year’s forum the end of February. The Forum consisted of a combination of Panel discussions and speakers who informed us of the latest research concerning Parkinson’s. The highlight of these talks for me was Walter Koroshetz, M.D., Director of National Institute of Neurological Disorder and Stroke who always has good news concerning research with Parkinson’s. On the last day of the Forum we all go to the “Hill” to talk to our people in Congress about what we want them to support concerning issues that affect our Parkinson’s community. In the photo we had just visited Nancy Pelosi’s in the Capitol when we came upon Michael J. Fox. Michael was also visiting our people in Congress. 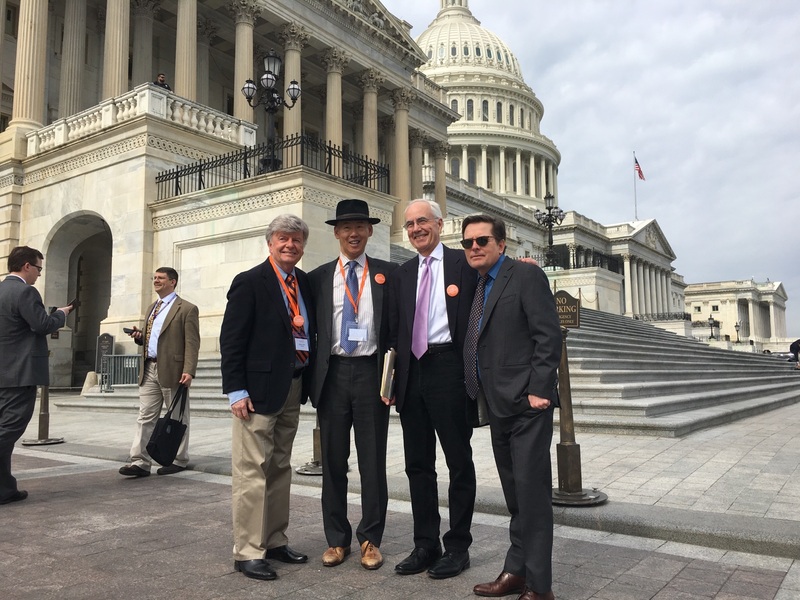 As told to me from a congressman, advocates visiting Capitol Hill keep Parkinson’s and our issues in the forefront and makes a lasting impression when it comes time to vote on certain Bills. Our being there as a group serves as a very powerful message. MJFF is now the voice of the Parkinson’s Community in Washington D.C.. I as an advocate will continue to keep our congress informed of our needs until a cure is found.